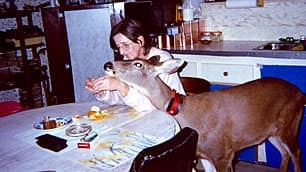 Wild animals are smart. They know where to turn to for help. 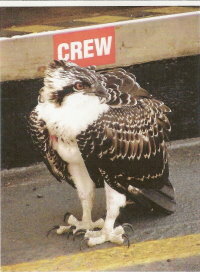 This week, the crew of our local ferry found an injured and weakened juvenile osprey waiting patiently outside the entrance to the crew stairwell, as an eagle circled hungrily overhead. Clever move on the part of the osprey. The crew went into action, protecting it with a blanket and calling a wildlife rescue organization, which quickly flew it by seaplane to a wildlife recovery centre in Richmond, across the Strait of Georgia. Hopefully, the osprey will recover and be released in about two weeks. Comments Off on Wild animals are smart. They know where to turn to for help.